Drop Bears absolutely dominated the finals with a commanding performance. Drop bears aren’t real—except in Overwatch. 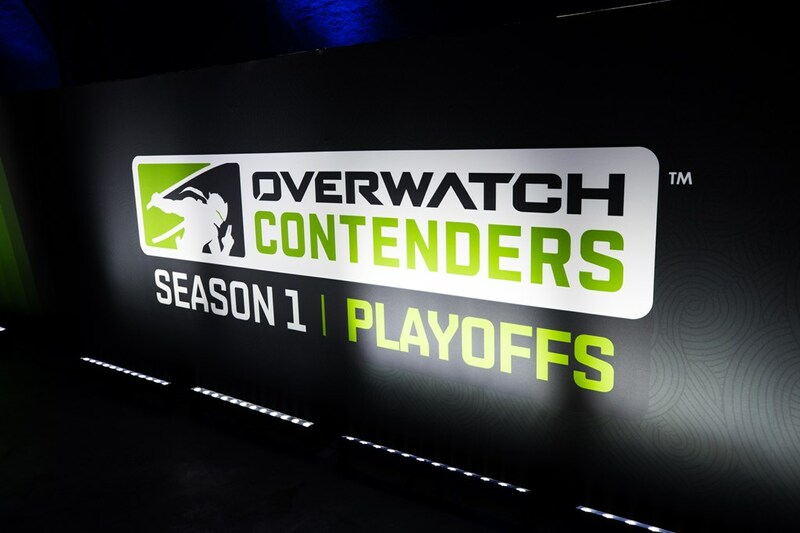 Last night, the Sydney Drop Bears became Australia’s Overwatch champion, winning the inaugural season of Overwatch Contenders Australia with a convincing performance in the final. Drop Bears absolutely dominated the regular season’s top team, Masterminds GC, in a quick 4-0 sweep in the best-of-seven finals in Sydney. Drop Bears looked flawless in all aspects of the game, shutting down Masterminds’ star DPS players while getting standout play from their lineup. Main tank Sam “Quatz” Dennis, who proved he’s the best main tank in Australia with commanding play as the point man of Drop Bears’ attack as Winston. He opened the door for great play from Byron “Billa” Heggie, whose Junkrat and especially Sombra had Masterminds clueless as how to respond. One play on Horizon in particular showcased that fact—Masterminds used Lúcio to speed boost into the final point backed by a Sound Barrier only to see their massive shields dissipate immediately thanks to a perfect EMP from Billa. Masterminds seemed to play into Drop Bears’ hands on the first three maps, favoring Tracer and Genji dive compositions that Quatz easily shut down with his strong Winston play. The only map Masterminds looked like they had a chance on was Junkertown, where Quatz was forced to open on Orisa and they opted into a Widowmaker battle instead of Genji. But even that wasn’t enough because Drop Bears closed out the series on the Australian map. It wasn’t an easy road to the finals for either team, though. Sydney Drop Bears went face-to-face with Dark Sided, one of Australia’s premier esports organizations and a team that went undefeated in the Contenders regular season. It took all five games for Drop Bears to show they were the superior team in a match that looked like it may have been the tournament’s real finals. Then Masterminds GC took on Blank Blue, a team many considered to be the region’s best thanks to a talented lineup of youngsters. But Masterminds looked in control in a 3-1 series win, using a more effective ultimate economy to eventually best the boys from Blank. That set up the finals to be a rematch from the regular season where Masterminds swept Drop Bears. But as Masterminds’ star flex DPS player Kelsey “Colourhex” Birse said in an on-stream interview before the finals, Drop Bears are much improved since that earlier meeting. And they showed it. The secret? “Lots and lots of VOD review,” according to Quatz. His teammate, Marin “Shoyo” Tomicic, credited a midseason roster swap, bringing in flex support Dario “akraken” Falcao-Rassokha, who had a standout finals performance on Zenyatta. Whether the championship makes Drop Bears Australia’s best team is another question. Blank Esports competed in the stronger Overwatch Contenders Pacific and placed second. But if Drop Bears continue to play like this, they’ll give Blank a run for their money. The win scores Drop Bears $7,500 in prize money, while Masterminds take home $3,110. Quatz says the team plans to stay together to defend their title heading into the second season of Contenders Australia. And they’ll be a tough team to beat.